The Portland Business Journal had a look at the cranes that ‘are redefining the Rose City’s skyline’. 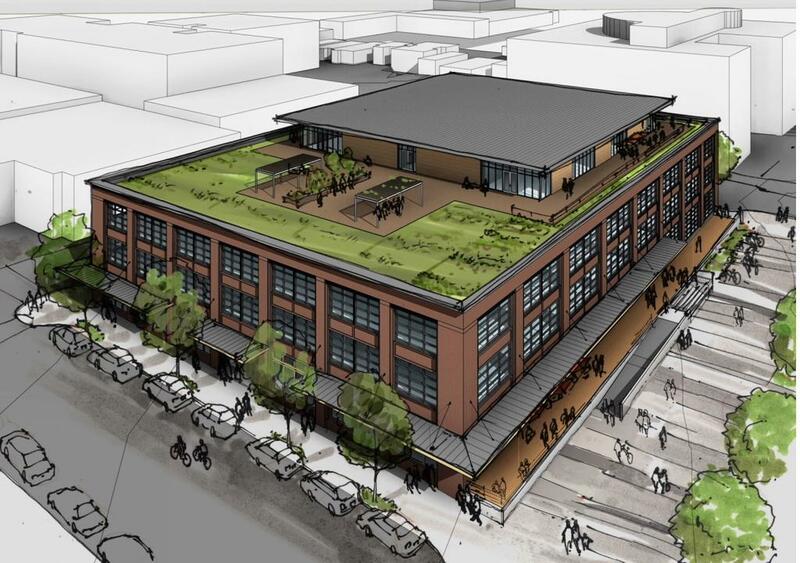 Barista, Hopworks Urban Brewery and Olympia Provisions are among the first tenants to be announced for the Pine Street Market. History Treasured & Sometimes Endangered dug into the history of a house at 1024 NW 19th Ave that may be replaced with a 21 unit apartment building with a contemporary glass facade. Portland Architecture visited the restored Washington High School. The Daily Journal of Commerce published photos of the under construction Block 37 apartments in South Waterfront. The Rose at Gateway Gardens, an apartment complex which received funding from Metro’s Transit-Oriented Development Program, is ready for tenants to move in. Legacy Good Samaritan Medical Center broke ground on a $10 million remodel that will include a new entrance on NW 23rd Ave. The Tess O’Brien Apartments secured a $6 million construction loan, which will enable construction to begin this month. The Portland Business Journal reported that ‘at least one “large headquarters group” has already showed some interest in a large section of the office square footage’ at the remodeled Conway Leland James Center.